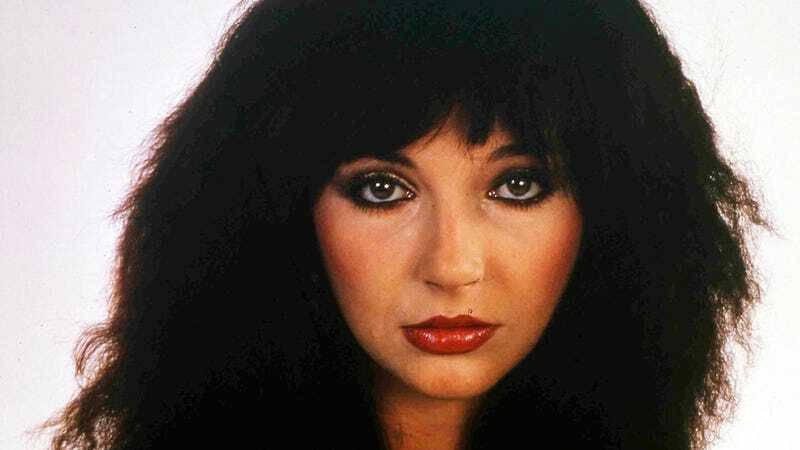 The pryce of wychcraft olde and crude, the hovel of legendary songstress Kate Bush shall be reclaimed by the sea, unless she invokes the furious magicks of the ancient builders, i.e. hires construction workers to immediately reinforce the foundation of her seaside home. ...a section of land near Bush's home, which resides on top of a cliff in Devon, England, collapsed in a landslide. Now, Bush's home is perilously close to the drop, and requires immediate reinforcement. Local officials have warned Bush that she needs to take action. "If you live there you can either accept it and let your house fall into the sea, or you can take action to prevent further damage, although that can cost hundreds of thousands. You can attach netting to the cliff face, or another option is spraying it with concrete, although these are very expensive and not something the council would pay for," seyde Devon County Councilman Steve Gardner. And so her tale ytoold! Kate Bush must dance the dance and sing the song of tribute for the spirytes of the brine, lest, by Goddes soule, her Devon house shall crumble into the watery depths below. For is a mistress full of jalousye, the fair lady of the sea.